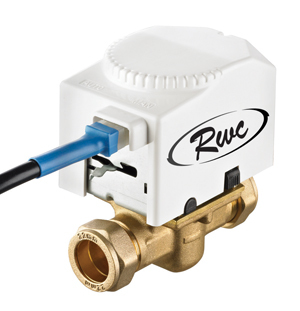 Premium Underfloor Heating kit, with thermostatic blending valve and circulating pump are ideally suited to the temperature control of individual under floor heated rooms. Additional optional extras suited for this kit for purchase. Self-adhesive/clip down plastic clip rail for fixing UFH pipes to help keep pipe spacing even, use 1 - 1.5 per m2'. Rail is compatible with 14mm/15mm/16mm/17mm/18mm pipes. 1m2 floor template for fixing UFH pipe into. Allows very accurate pipe spacing and speeds up pipe installation. 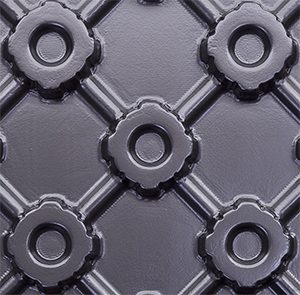 1000x390mm 0.5mm thick aluminum spreader plate. For use in joisted floors with 400mm centred joists. Can be trimmed and many other sizes available - please enquire. 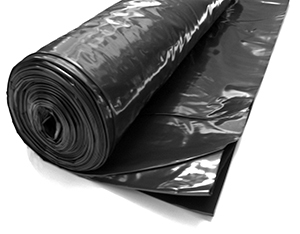 25m x 4m 500 gauge membrane for use with screed. Fitted on top of insulation before pipe is fitted - see our installation guide for specific use. Tacker clip tool for the fast application of tacker clips. To manage the distribution of large length pipe coils. We don't charge for CAD design, unlike many other companies! Please supply plans with manifold position/floor construction(s)/contact number. Please allow up to 3 days for completion. 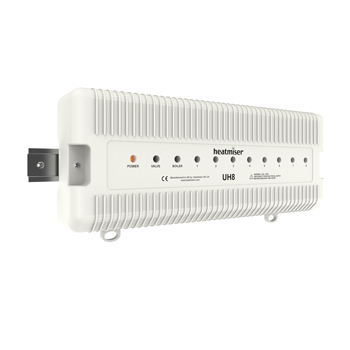 Additional control options, for other model stats or 12v networked stats view our controls section for a full list or contact us. 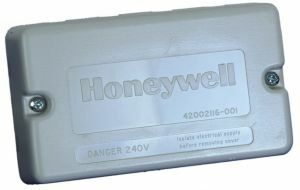 Honeywell 10 way junction box, allows thermostat to be wired in a single zone system. 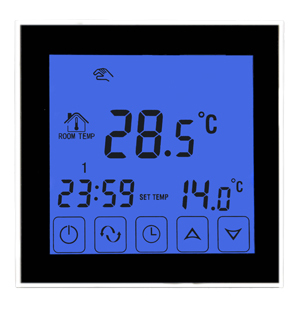 Allows up to 8 thermostats to control the UFH system. 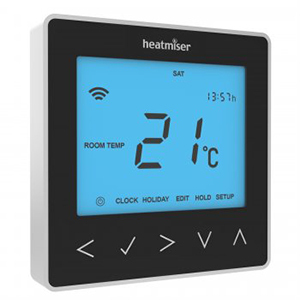 Designed to work with any 230v room thermostat. 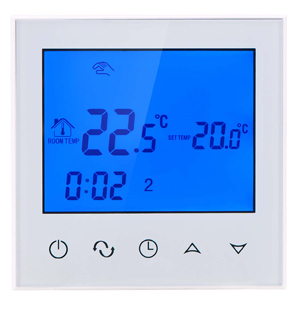 Underfloor heating 240 volt room thermostat with dial control temperature range 5oC - 30oC. 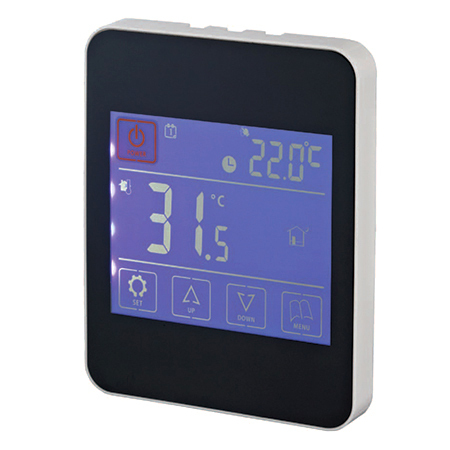 7 day programmable room thermostat with digital display and blue background. 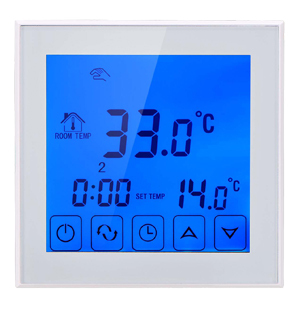 7 day Touch screen programmable room thermostat with digital display and blue background. 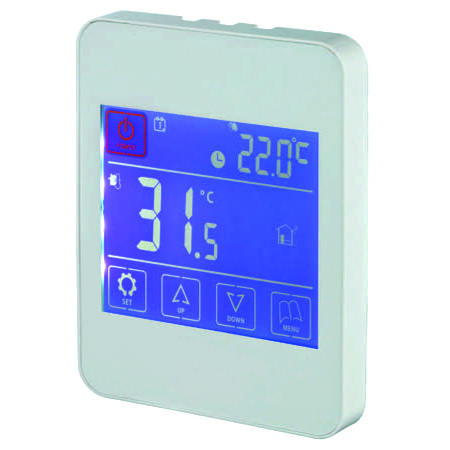 iPod Style - 7 day Touch screen programmable room thermostat with digital display and blue background. 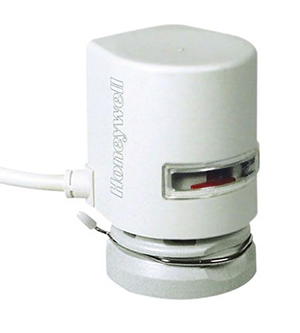 240v electrothermic actuator used for individual zone/circuit control, normally when using multiple thermostats. Allow one per circuit. 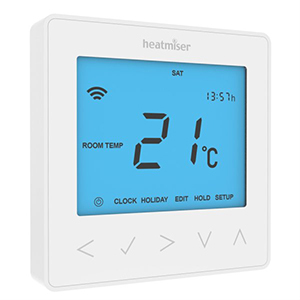 One free with each thermostat purchased. 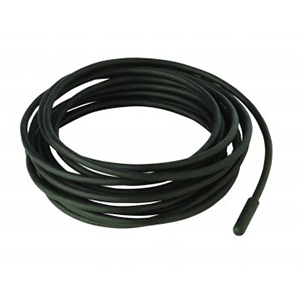 This probe is supplied with a 3 meter cable and can be used to measure air and floor temperature. 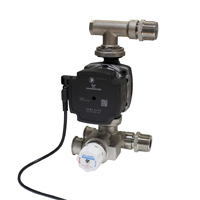 2 Port motorised zone valve. 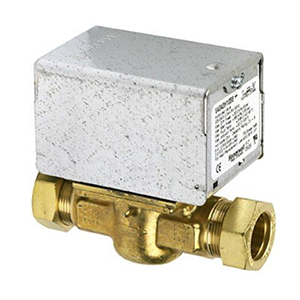 Two valves are often used for 'zoning off' an underfloor heating system from a radiator circuit. We can advise on this and supply a wiring diagram with the kit if requested. 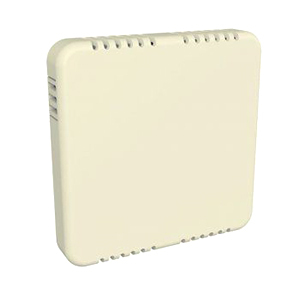 Control your system remotely with a Smart Phone! 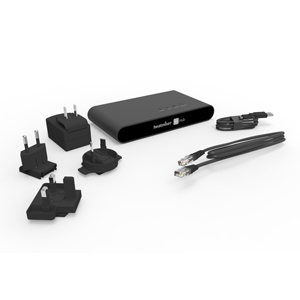 The NeoHub must also be added to the system. 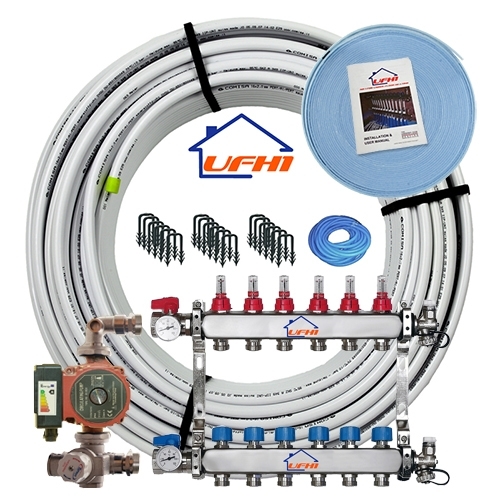 Premium Underfloor heating1 6 port 600m kit - floor coverage should not exceed 120m2.